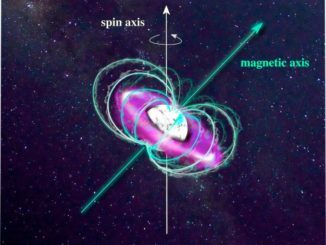 For the first time, a powerful magnetosphere has been detected around a white dwarf, providing a mechanism that explains a long-standing mystery. Overall, about 1 kg of material is escaping our atmosphere every second. Every day, around 90 tonnes of material escapes from our planet’s upper atmosphere and streams out into space. Although missions such as ESA’s Cluster fleet have long been investigating this leakage, there are still many open questions. How and why is Earth losing its atmosphere? 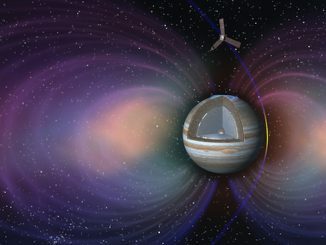 Speeding toward Jupiter at nearly 40 miles per second, NASA’s Juno spacecraft must brave a field of computer-zapping radiation and Jupiter’s tenuous ring of ice and dust particles when it brakes into orbit around the planet Monday and zooms just 2,900 miles from the world’s turbulent cloud tops. 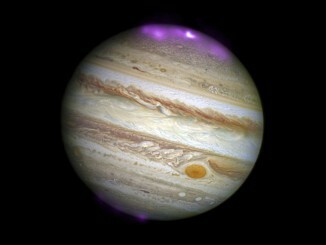 Solar storms are triggering X-ray aurorae on Jupiter that are about eight times brighter than normal over a large area of the planet and hundreds of times more energetic than Earth’s “northern lights,” according to a new study using data from NASA’s Chandra X-ray Observatory when a giant solar storm arrived at the planet. Nearly four billion years ago, life arose on Earth. Life appeared because our planet had a rocky surface, liquid water, a blanketing atmosphere and a protective magnetic field. A new study of the young, Sun-like star Kappa Ceti shows that a magnetic field plays a key role in making a planet conducive to life. 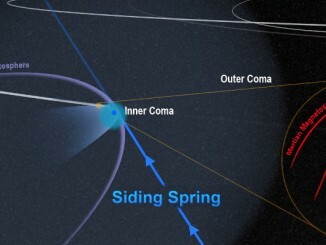 The close encounter between comet Siding Spring and Mars in October 2014 flooded the planet with an invisible tide of charged particles from the comet’s coma, according to data from NASA’s Mars Atmosphere and Volatile Evolution (MAVEN) spacecraft. 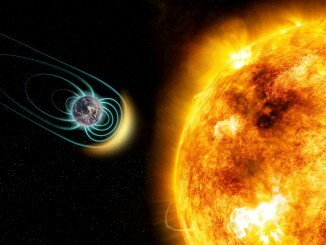 The comet’s powerful magnetic field temporarily merged with, and overwhelmed, the planet’s weak field. 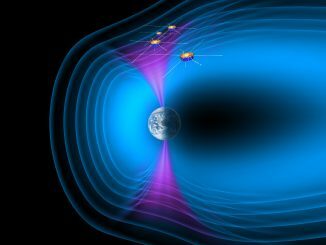 Thanks to a lucky conjunction of two satellites, a ground-based array of all-sky cameras, and some spectacular aurorae boreales, researchers have uncovered evidence for an unexpected role that electrons have in creating the dancing aurorae. 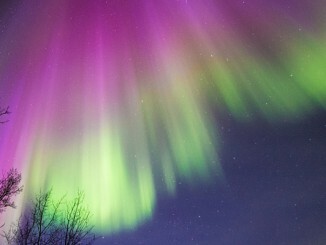 Though humans have been seeing aurorae for thousands of years, we have only recently begun to understand what causes them. 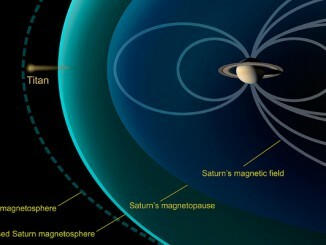 Researchers analysing data from NASA’s Cassini spacecraft were able to study the effect of a powerful solar outburst on Saturn’s largest moon, Titan, when it was unprotected from a raging stream of energetic solar particles.